I worked in retail advertising for a big company in the 1970s and 1980s and we spent millions of dollars every week to keep potential customers coming to our stores. If we want to do more to help kids in poverty we need to find ways to keep expanding the number of people who are offering time, talent and dollars to support schools and non-school tutor/mentor programs in thousands of locations. In the social sector we don't have millions of dollars for advertising, thus we need to find other ways to build and sustain public support and the flow of needed operating resources to all of the places where people are working to help kids move through school and into careers. I created this video to illustrate the need for 12-month strategies that repeat from year-to-year. I hope you'll find time to view it and share it with others. Birth-to-work is a 20 to 25 year journey. It's difficult for most kids, but much more difficult for kids born into neighborhoods of highly concentrated, segregated poverty. Kids only grow a day and a year at a time. There are no quick fixes. Thus, we need to find innovative ways to keep attention focused and support available in thousands of locations. Instead of focusing on single solutions, focus on the big question: "What are all the things we need to be doing to assure that youth born in 2013 are starting jobs and careers by 2038?" This question needs to be asked over and over, by leaders in business, politics, universities, faith groups, philanthropy, and by individuals who are concerned with the future of our democracy, our economy, and the millions of young people born in high poverty neighborhoods every year. As you talk with others, read books and articles, and come up with information that supports this "birth to work" goal, find a way to share your thoughts by posting links or ideas in web libraries, blogs or social media forums. 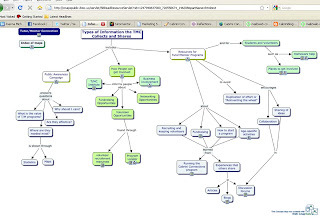 Below is a map of the information library of the Tutor/Mentor Connection, which has been growing since the late 1970s. You can find this graphic here. Collecting, organizing and drawing attention to this information on a regular basis is a huge job. It cannot be done by a single person, or a single small organization. Other owners are needed to support this strategy. Sponsors are needed to keep it going in 2013 and 2014. View this page to learn more of ways you can help. This is an interview of me done in 2009 by Paul DiPerna, who was based in Indianapolis at that time. The goals are the same although my structure has changed since then. 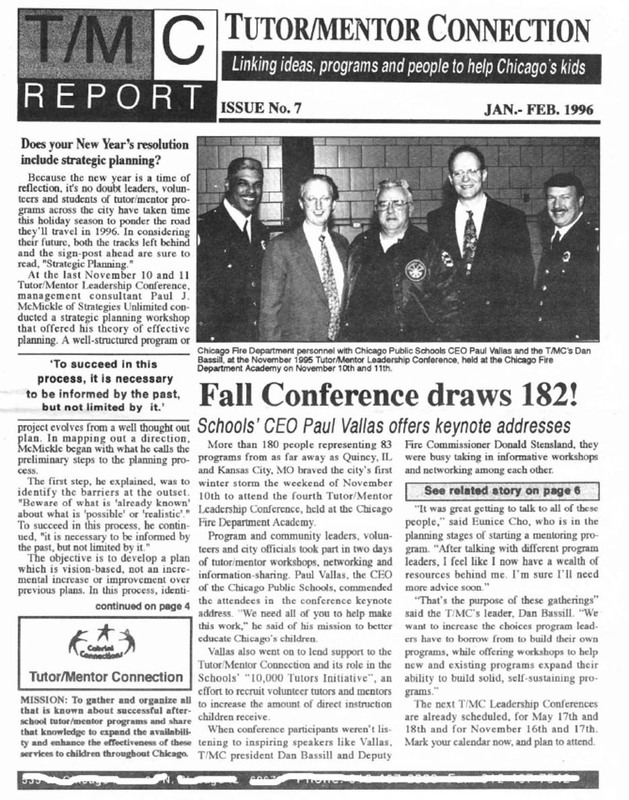 Below is the front page of the printed Tutor/Mentor Connection newsletter of Jan-Feb 1996. I've been meaning to put PDF copies of past newsletters on-line for a while and started doing that today. 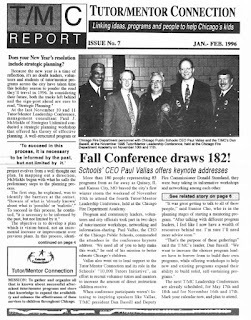 On the front page you can see a photo of Paul Vallas, CEO of Chicago Public Schools, who addressed a 1995 Tutor/Mentor Conference. 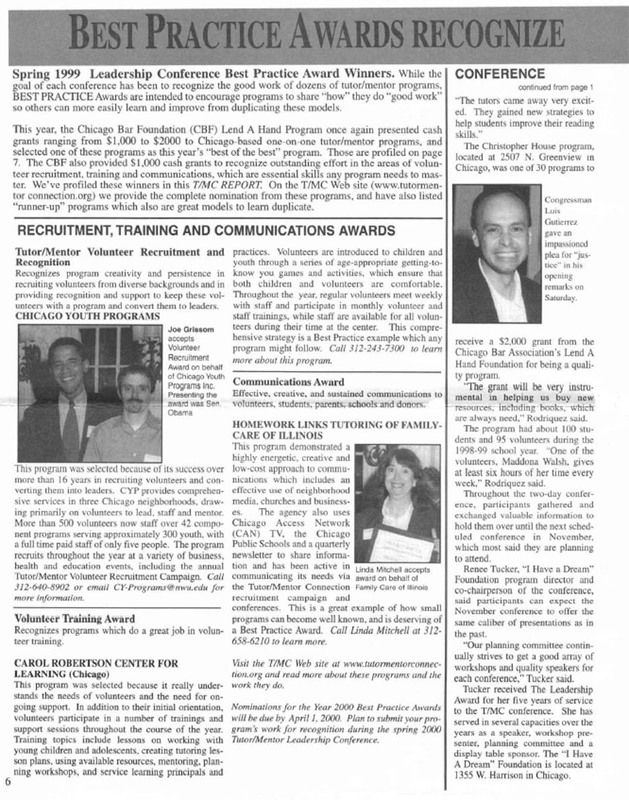 If you browse through this archive showing other newsletters written in the 1990s and in the past couple of years you'll see that my goals have not changed, but the people in business, philanthropy, politics and Chicago Public Schools have. 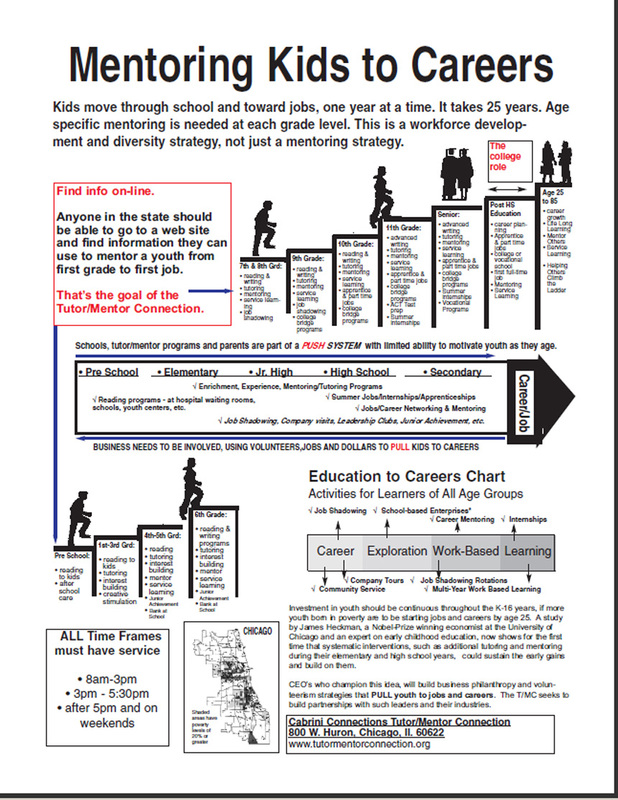 So have many of the leaders in volunteer-based tutor/mentor programs who I first started connecting with in the 1990s and even earlier. 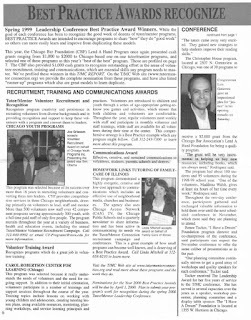 In this image from the Summer 1999 newsletter, you can see a photo of Barack Obama, who was a speaker at the May 1999 conference, along with Congressman Luis Guitierrez. I wish I could say that "Appearance at a conference translated into on-going support for the strategies represented by the conference". I will add more copies of past newsletters to the archive and hope you'll read and share them. 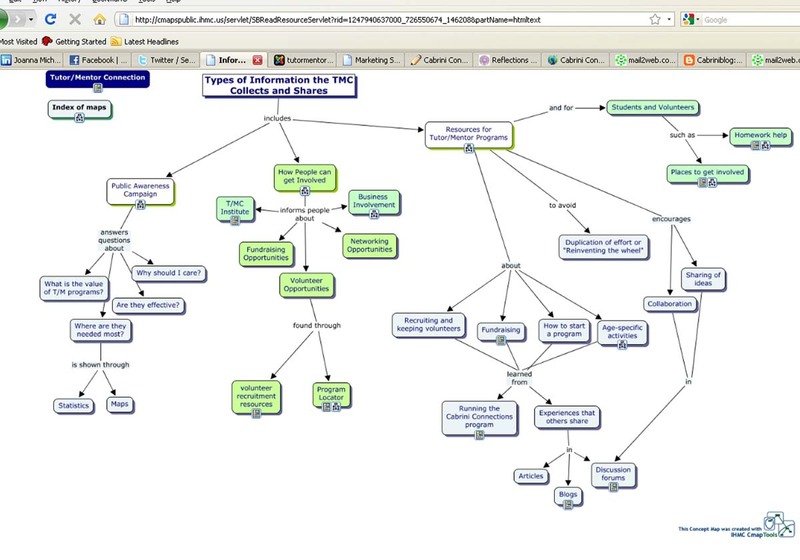 As you browse these you'll see uses of maps and graphics that I piloted in the 1990s. I'm still using maps and graphics for the same purposes today. If you're asking "Why hasn't this had a greater impact?" the answer is that this strategy has never had consistent support from business and civic leaders, and never has had more than $150,000 at its peak to operate. Initial sponsors such as the Montgomery Ward Company went out of business. Others changed their giving strategies. Others gave once, and never again. 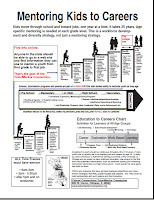 While many people have been touched with these ideas, the printed newsletters only reached 10-12,000 people three times a year at the maximum circulation in the 1999-2000 school year. In 1994-95 the distribution was to fewer than 4,000 people per issue. In a metropolitan region with more than 8 million people, that's like whispering in a tornado. 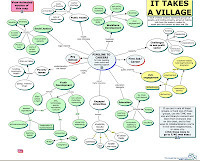 If more leaders from the past had adopted some of these ideas perhaps we would have a wider range of mentor-rich programs in Chicago today and perhaps more of the kids who had joined programs in the 1990s would now be in jobs and volunteering to support programs now operating in Chicago and other cities. We can't change the past. We can change the future. Adopt these ideas in your own organization and stay committed to them for the next 20 years. Become a sponsor and help create a new printed version of this newsletter, along with an email campaign to share these ideas with thousands of people every day, starting with the people in your own personal, professional and faith networks. Become a sponsor of the conferences and help build participation back to over 300 as it was in 1999. This strategy requires leaders from every sector, not just leadership from one small organization, or one elected official. Leadership can come from youth and from adults. 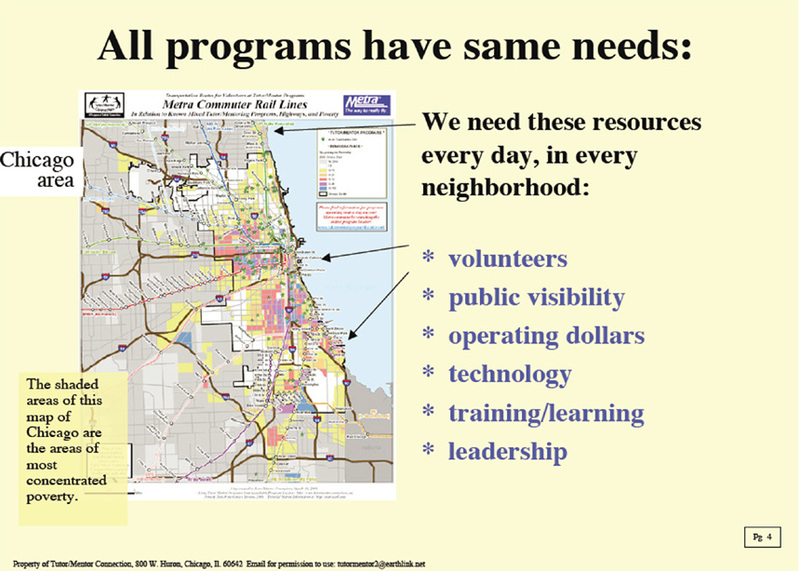 The strategy can be adopted in any city, not just Chicago. I'll post more of these throughout the year. Merry Christmas. Happy Holidays. I hope you'll find some time to read these newsletters and browse other articles on this blog and the Tutor/Mentor Institute, LLC site. I look forward to hearing from you. I've been sharing ideas and strategies on this blog for the past 7 years and via web sites since 1998. I was sending a print newsletter to nearly 10,000 people during the 1990s prior to learning to use the Internet. Not much has changed in our goals except the way we communicate. Here's two articles I hope you'll read and share as you, your family, co-workers and friends begin to make resolutions for 2013. Problem solving strategy . In order to solve a problem we should first collect as much information as we can that helps us understand the problem and shows us how others in different places are already working to solve the same problem. Year round communications and leadership strategy. This blog article and the video below show ways to keep attention focused on the problem you are trying to solve so more people get involved and more resources are generated to support your efforts. These are just two of hundreds of articles like these. If more people in business, philanthropy, media, politics, etc. take lead on these strategies, more people will become better informed, more involved, and at some point in the future our efforts will begin to have more collective impact on solving the problem we are focusing on. 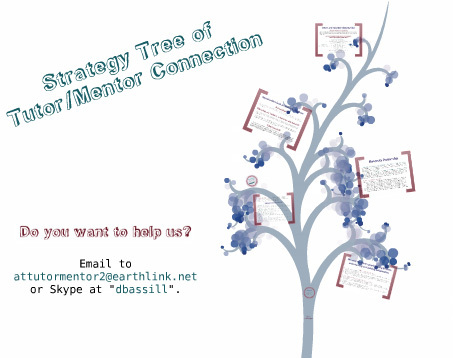 In the year-round strategy I show May and November Tutor/Mentor Leadership and Networking Conferences. I've set the date of June 7, 2013 for the spring 2013 conference. It will be held at the Metcalfe Federal Building in Chicago. Now I need help organizing the event and help financing it. Visit the conference web site to read more. Become a sponsor and demonstrate your support for this strategy. Happy Holidays and may 2013 be the year you embrace these ideas as your own! The shooting last Friday in Conneticut demonstrates again how many different challenges our world faces as we look for ways to keep all kids safe and help all kids develop their full potential and become contributing adults. I've used maps in the past to point to high poverty areas, and point to research and media articles showing that kids living in areas of big city and rural poverty face greater challenges because there is less community wealth and too little social capital linking these kids to live beyond poverty. Yet we're reminded over and over that kids who live in middle class and affluent areas have their own social and emotional problems, need extra help in school and need the extra attention of adults beyond the family. I have collected so many ideas over the past 35 years that when I meet with people in one-on-one meetings I'm overflowing with information to the point that I overwhelm and confuse. 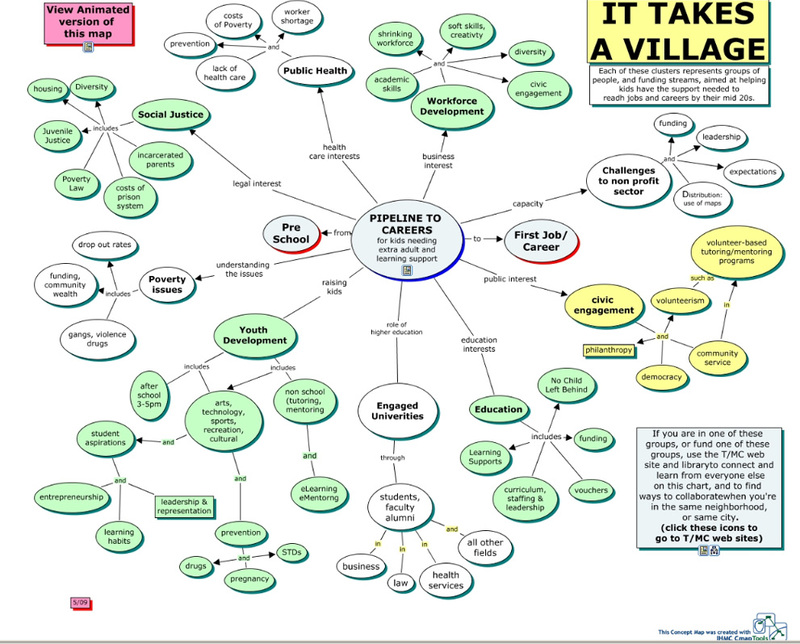 Thus, I've begun creating a handout that people might use following a meeting to look at the ideas I am talking about, with some degree of sequence and growing depth of understanding. 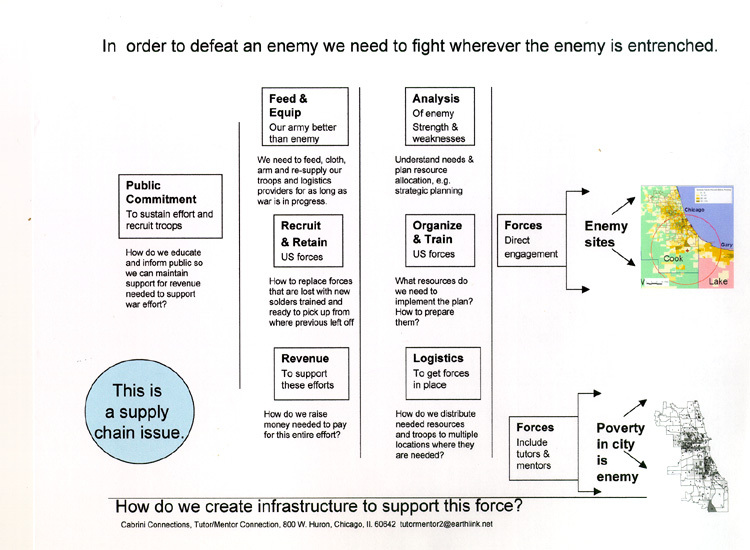 In the four-part strategy essay I've posted on this site, I show a need for facilitators to help other people find, understand and use this information. The graphic below shows many actions that need to be supported by many people and by a wide range of resource providers. I think this entire strategy should be duplicated to focus on kids who live in affluence, as a parallel system to one that focuses on kids living in poverty. 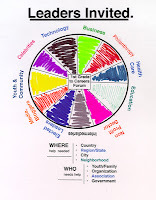 If I can find resource providers to continue to build the strategies I describe above, I would find it an honor and a tremendous opportunity, to connect with those wanting to build this parallel system. In the Bible there is a story about how Jesus was asked "how do we pray?" and he answered with the Lord's Prayer. The "lead us not into temptation and deliver us from evil" part is a prayer we each start each day with and hope that at the end of the day we and none of our friends and family have fallen victim to tragedy or evil doings. I pray that we all find peace and deliverance from evil in the coming days, weeks and months. I also pray that more people will step forward with generous amounts of time, talent and money to intentionally make this safety available to more kids in both rich and poor parts of this world. 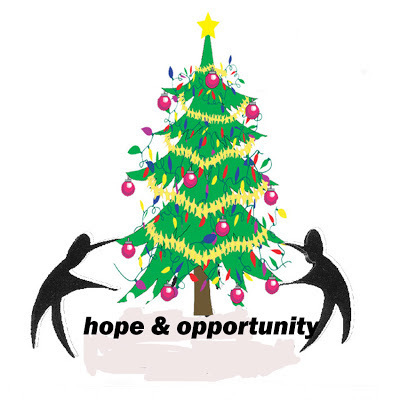 This is one of the graphics that I've created to wish all of my family, friends and connections a happy holiday and a joyous 2013. My own growth illustrates this. I started tutoring in 1973 when I joined the Montgomery Ward Corporation as an advertising copywriter. 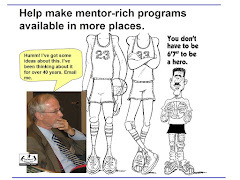 I became the volunteer leader of the company program in 1975 and for the next 36 years I've spent time every day trying to figure out ways to attract youth and volunteers and keep them engaged. When I left Wards in 1990 I also had to figure out ways to attract donors and keep them engaged, too. The original program did not need to work about this because I and other leaders had full time jobs. We could afford to lead the program as volunteers. In 1990 this became my full time job and I had to raise money to pay me a salary and to pay others who became part of our staff over the past 18 years. This map shows my journey over the past 38 years. To do this I've tried to educate volunteers, youth, donors, and every other stakeholder by pointing them to information showing where and why tutor/mentor programs are needed and to stories showing the impact of these programs on the lives of kids and adults. This video is one that tells this story. Since this is the season of religious holidays I would like to compare my work to the Parable of the Sower from the Bible. Over 35 years I've spread many seeds inviting others to become involved as tutors, students, leaders, donors, advocates, and have tried to nourish them weekly so that some take root and grow. 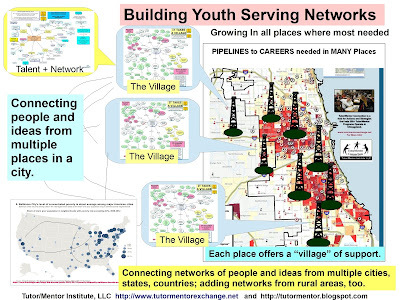 I met a young man at the Chicago Police Department yesterday who told me he had used the Program Locator Maps in a college research project, to demonstrate the need for more youth programs in the Englewood neighborhood. That's an example of the seeds beginning to take root. A few years ago I received a $2,500 donation from the Women's ProGolf Association. By tracing the donor in my database I found it was a person who I had first started sending newsletters to in 1994. He had changed jobs but it was not until many years later that he could provide financial support. If you log in on the OHATS documentation system (user name Guest; password Visitor)you can see other testimonials and actions I've documented since 2000. Thousands of seeds have been planted. Every time I send a newsletter, such as this one, I'm asking people from my past to become active in supporting the work that needs to be done in the future. Every time someone has visited this blog or one of my web sites since 1998 a seed is planted. As some of these seeds take root we should be able to show workers and leaders in every node on this map who are working to support the growth of tutor/mentor programs in every high poverty of Chicago and other cities, and who are providing talent and financial support to help me continue to spread seeds and nourish their growth. I'm not a non-profit, so you cannot get a tax deduction for helping me. You can look in the mirror and tell yourself how much you are doing to help kids living in high poverty have systems of support that tutor/mentor programs can provide. Click here to add your support to Tutor/Mentor Institute. Click here if you'd like to give your support in the form of a gift for my 66th birthday. 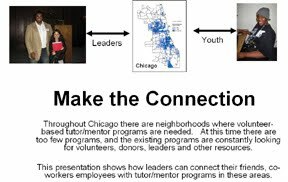 Click here to find a list of tutor/mentor programs in Chicago that you can choose to support even if you cannot support my own efforts. 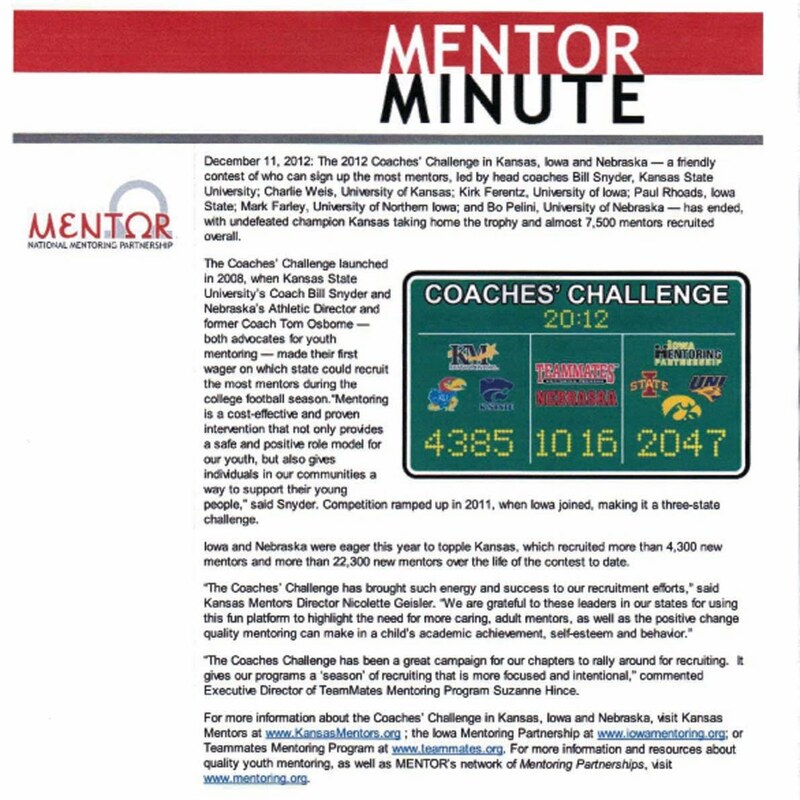 I received an email yesterday from David Shapiro of MENTOR, telling of a competition between high profile college football coaches in Kansas, Iowa and Nebrasa who were competing between August 1 and November 30, 2012 to see who could sign up the most mentors. This page on the Volunteer Iowa web site shows how the challenge was used to mobilize volunteers. A few years ago at Cabrini Connections we attempted to launch a competition between alumni at the University of Illinois and Northwestern to see who could raise the most money during the football season for the program. Teams were headed by former quarterbacks at each school. We raised almost $10,000 during the campaign but could not gain support to grow it the following years. I've been writing articles promoting involvement of college and pro athletes in on-going campaigns to recruit not only volunteers, but donors, to support volunteer-based tutor/mentor programs in the cities where each team operates. This PDF outlines the intermediary role athletes might take to support programs throughout a city, not just one or two high profile programs, or their own charity. Coaches can support this with their own efforts. 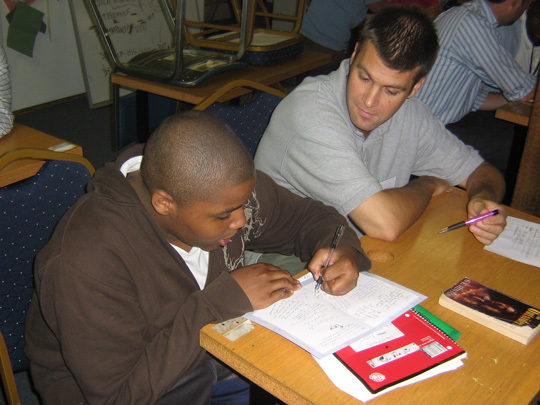 This wiki page outlines the idea that coaches could teach athletes and leaders to become proactive in building strong tutor/mentor programs throughout a community. 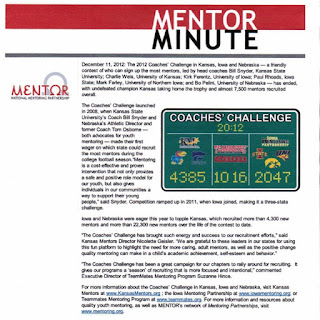 Perhaps the example of the Coaches Challenge in Kansas, Iowa and Nebraska will help others see their potential. 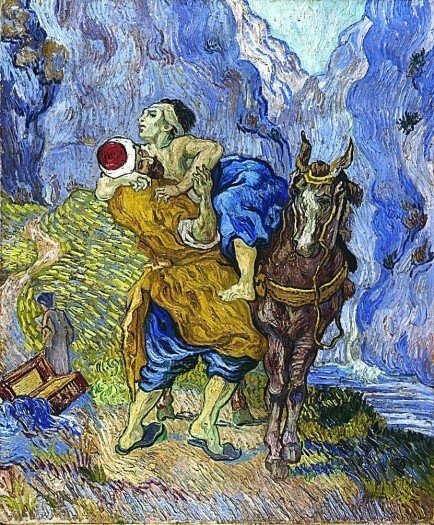 Did the Good Samaritan Get a Tax Deduction? I’m sure most people are familiar with the Bible story about how a man saw another person in need along the side of a road and gave him all the help he needed to recover. This story is over 2000 years old, but it brings up an important question. 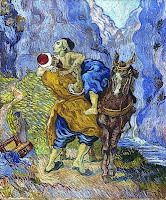 See Good Samaritan images like the one shown in Pinterest. For many years a debate on reductions of tax deductions for charitable giving has been going on in Congress. Will people still give to social causes without a tax deduction? See this article in the Chronicle of Philanthropy , Changes in Charitable Deduction May Have Mixed Impact on Giving. Where did we get off the road of giving aid because it’s needed and the right thing to do, to giving aid only when we get a tax write off? I operated as a 501-c-3 non profit from 1993 to 2011 and solicited donations from a wide range of individuals, corporations and foundations over that period of time. More than $6 million was raised, partly to support the site-based Cabrini Connections program, and partly to support the citywide strategy of the Tutor/Mentor Connection. 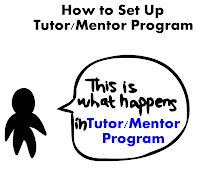 I’ve been operating without the 501-c-3 tax status since July 2011, focusing on the Tutor/Mentor Connection's goals. 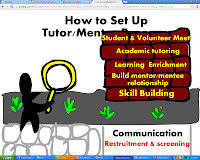 I am doing exactly the same work of supporting the growth of volunteer-based tutor/mentor programs (see 4-part strategy), yet find it much more difficult to ask for help due to not being classified as a charity. Based on the number of people who gave in the past but not in the last year, I think others find it more difficult to give help because I’m not a charity and they don’t get a tax deduction. Read "Why I'm not a Non-Profit"
I don’t think the person that the good Samaritan helped was a 501-c-3 charity. He was someone in need. I have been trying to improve the flow of talent, dollars and technology into high poverty neighborhoods for over 18 years. 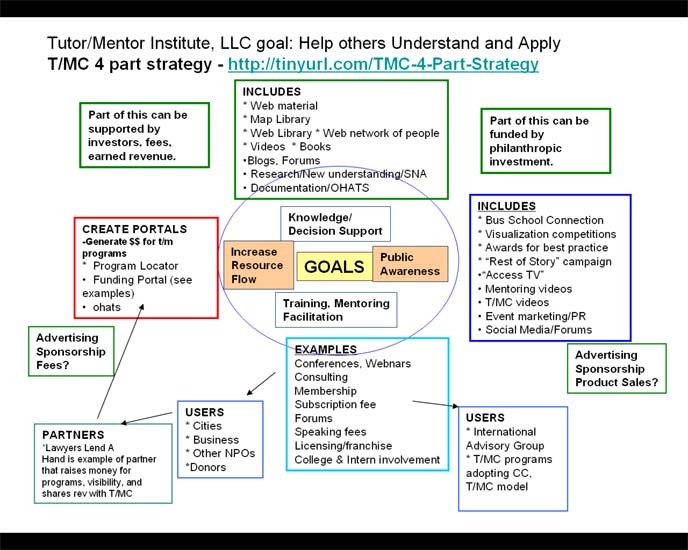 I’ve piloted a unique use of maps and interactive databases to do this, yet have not had the capital to keep these working, updated and expanding in how they connect resource providers with the different tutor/mentor programs operating in Chicago. Over the next couple of weeks I’ll outline two strategies that I've been developing. I think any city could support these in its own efforts to help youth in multiple neighborhoods have the extra learning and mentoring supports needed to move more successfully through school and into jobs and careers. 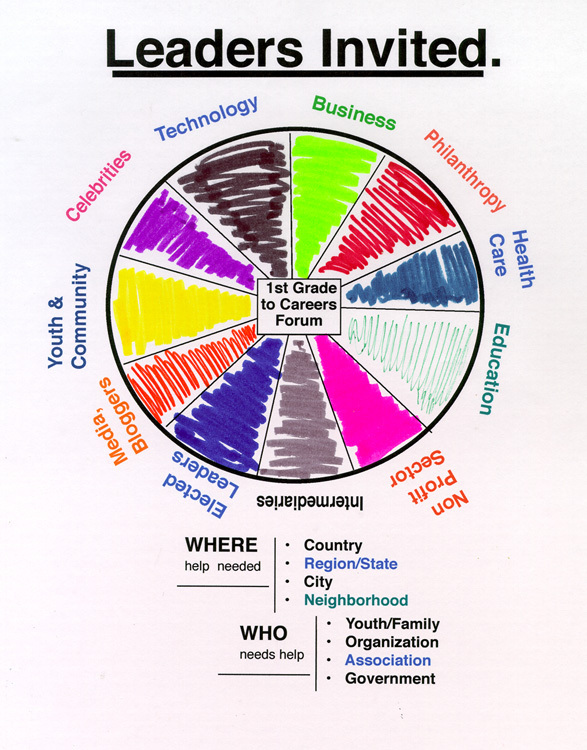 One is an information-based community mobilization strategy. 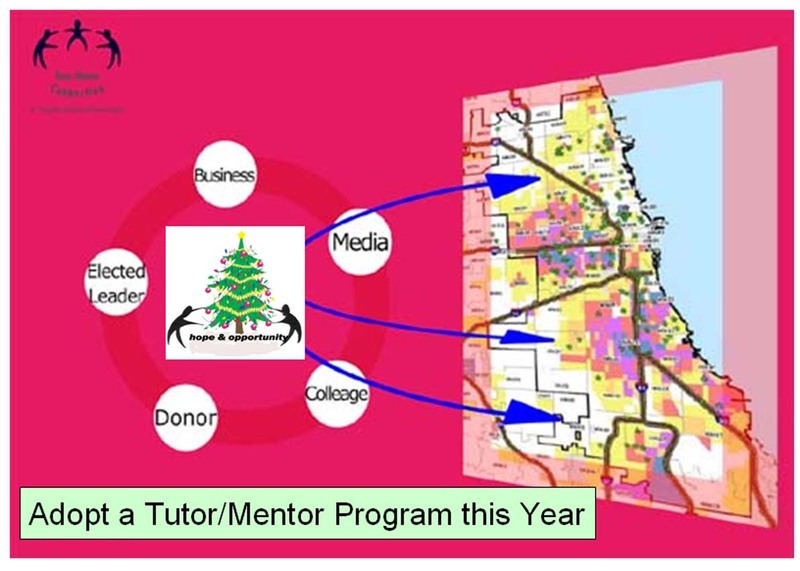 The second is a 12-month calendar of events and collective efforts intended to dramatically increase the number of people to look at the information and take actions that support the growth of one, or more different tutor/mentor programs in Chicago or other big cities. 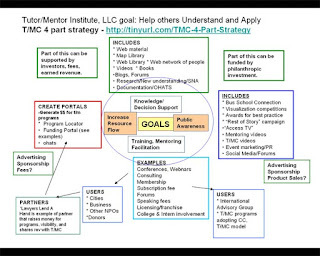 As you read these I encourage you to browse past articles on this blog, review the sections of the Tutor/Mentor Institute, LLC site, and review the wiki that shows what I've been building and where help is needed. If you’ve read these and agree with what I’m trying to do, then look in the mirror and ask yourself if you’re a Good Samaritan and if you can provide some of the financial support needed in 2013 and 2014 and beyond to do this work properly. Click here and find a PayPal link that you can use to offer help. As we in the US begin to gather with family and friends for the holidays, I encourage you to take a few moments to view and reflect on this discussion of "How economic inequality harms societies." The speaker is Richard Wilkinson, a public health researcher. 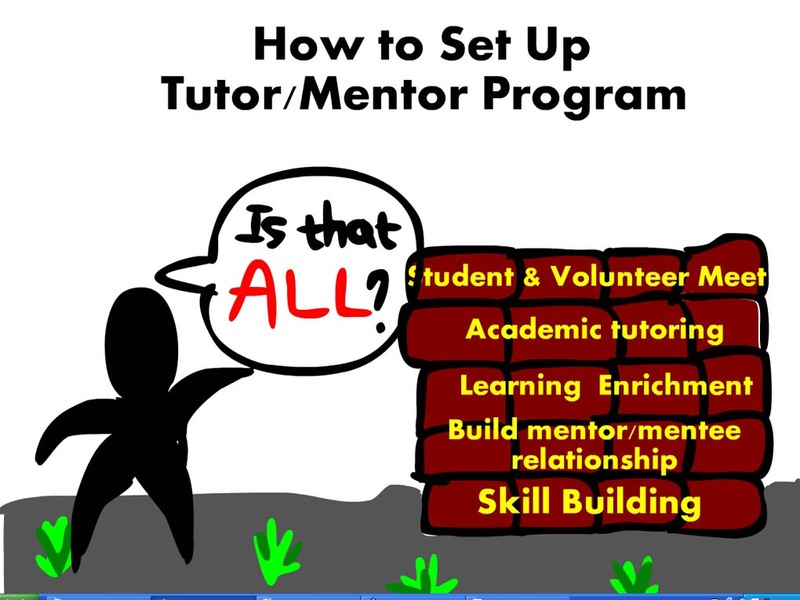 I support volunteer-based tutor/mentor programs because they are a bridge that connects people from beyond poverty with young people and families from within high poverty neighborhoods. Learning takes place on both sides. Last spring I talked about "empathy" with Edwin Rutsch and described how I feel the on-going involvement of volunteers in tutor/mentor programs builds a greater understanding of the problems facing youth in poverty, creating empathy and a commitment to devote personal time, talent and resources to closing the gaps between rich and poor by helping young people have more of the support they need to succeed in school and life. 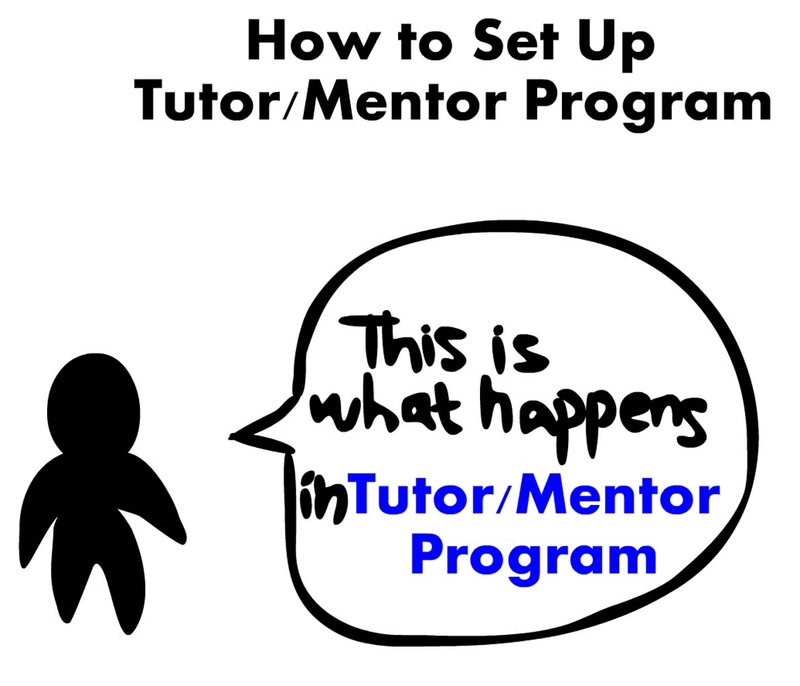 As you review these videos over the holiday I hope you'll become more willing to support a tutor/mentor strategy in your own community, and to dig deeper into the ideas shared in these videos so that we can create a more equal America that has a benefit to both rich and poor. 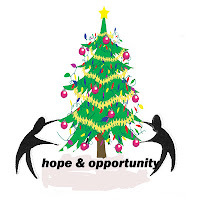 I hope you'll also read this Holiday Letter and send a contribution to help me continue the Tutor/Mentor Institute, LLC and Tutor/Mentor Connection in 2013. I saw this article on CNN today, titled "Questions surround $55 million program to cut violence in Chicago"
As I read it I was reminded of a video one of my IIT interns did a couple of years ago to illustrate the need to build infrastructure to support mentoring and tutoring and extra learning programs so they could sustain long-term connections with youth and have a greater impact. You can play the video at this link. Below I've posted some images. This project was created by Sam Lee during the May/June 2011 internships. I support interns on this portal and provide some articles for them to look at and convert into new visualizations. Sam did several visualizations over a six week period. This graphic is the introductory frame on the animation. This next image is the beginning of a sequence where some of the things that you expect to see in a tutor/mentor program are shown as "building blocks". One of the most important points I try to communicate through the Tutor/Mentor Institute, LLC is that it takes a tremendous level of support and infrastructure to connect inner city youth with volunteers who live in more affluent areas and can model different jobs and careers as well as college and other education achievements that are not frequently modeled in high poverty neighborhoods. Introducing the youth and volunteer is just the start. 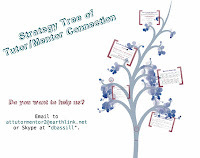 Keeping them connected for multiple years so that strong mentoring relationships develop is the on-going challenge of any tutor/mentor program. It's the piece most often overlooked by planners, evaluators, and donors. 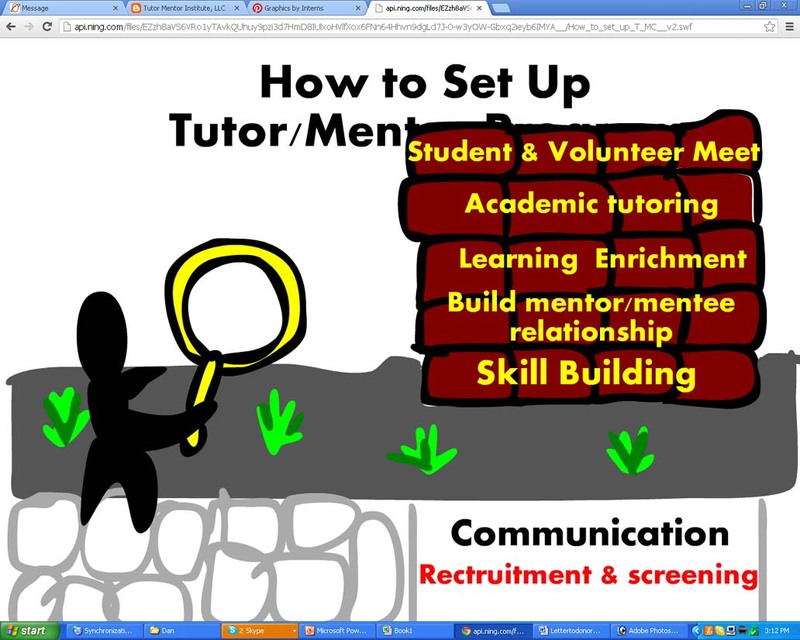 Thus, the second part of the animation uses a cartoon figure with a magnifing glass to encourage viewers to think of the infrastructure needed to support high quality, long-term tutor/mentor programs. sitting together you're not thinking of all of the costs and talent required to make that happen. 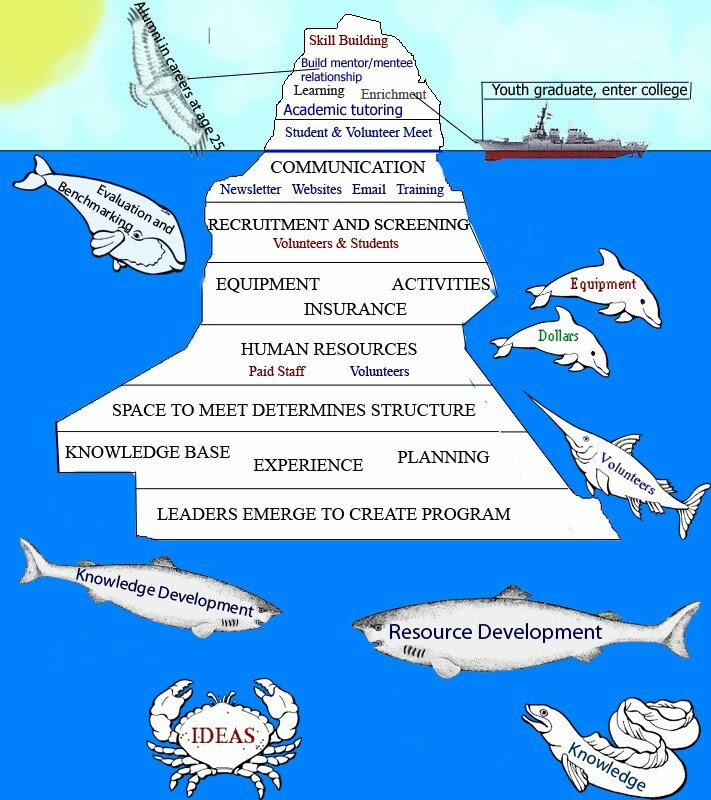 If the Governor and others who launch quick fix, highly expensive, prevention programs would think about this perhaps we could innovate better ways to support the infrastructure and on-going operations of tutor/mentor programs and get better impact over a period of years. The January-February 2013 internship will include two new students from IIT and Korea. I've posted an introduction here. I'd like to encourage youth from other colleges and high schools, and other cities, to join in on this project, working from where you live, and parallel to the students who will be working at my office in Chicago. 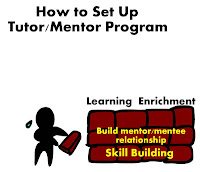 If more people are spending time thinking of the details of building and sustaining youth tutoring/mentoring programs, we can build a network of new leaders with a deeper understanding of what it takes to make them available in more places, and make them have a greater impact.